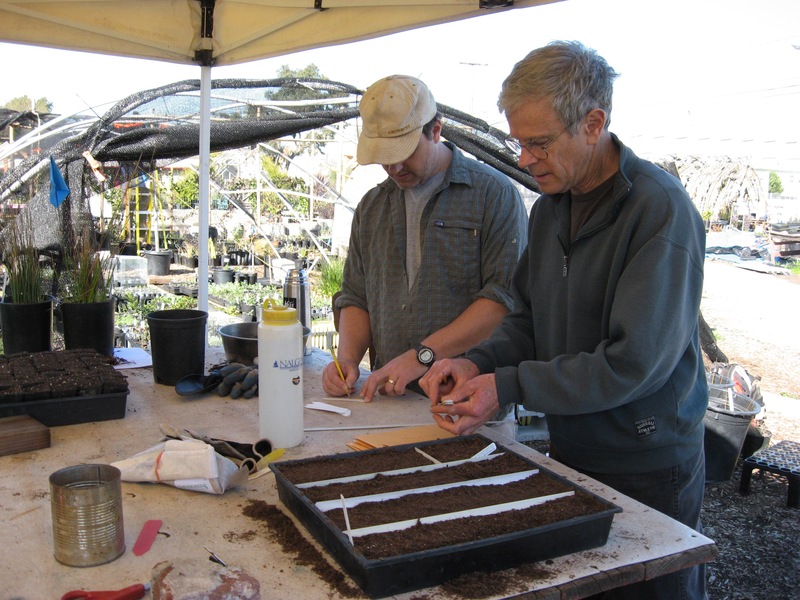 Oaktown Native Plant Nursery’s mission is to grow and provide quality California native plants for home gardeners, landscapers, local re-vegetation and habitat enhancement projects. Specializing in growing natives specific to local habitats and micro-climates, we do in-house propagation as well as selectively buying native plants for resale. Custom plants are grown from permitted, site-specific seeds and cuttings. In recent years, in order to add more color and diversity for gardeners and landscapers we have expanded our selection from strictly local native plants to a broader palette including both locals as well as plants from the broader California Floristic Province. Our custom grow project history ranges from various types of public wild-land restoration to private wildlife habitat gardens. 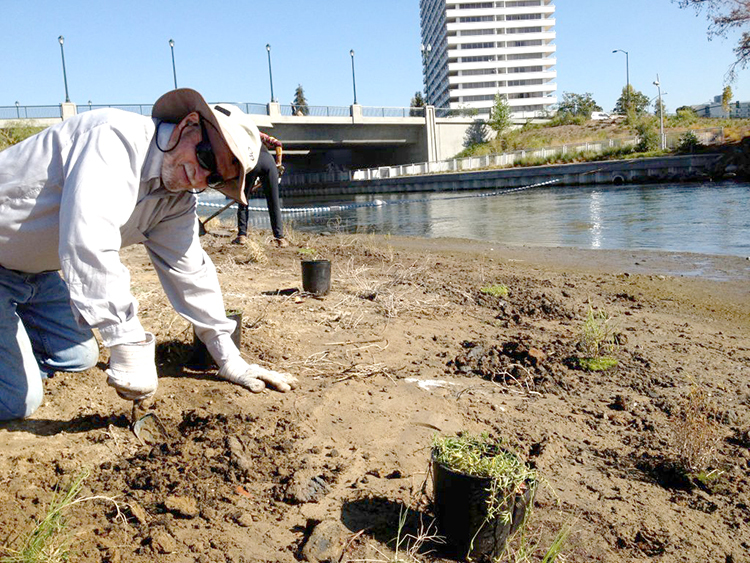 Example projects include creek restoration for Fish Friendly Farming in Napa County and tidal wetland re-vegetation in urban Oakland. Exciting projects we have done for private landholders seeking to enhance habitat value range from redwood understory to hedgerows composed of local coastal scrub and seedling oaks on a four acre parcel. A detailed job history and references are available upon request. Oaktown Native Plant Nursery started in 2002. 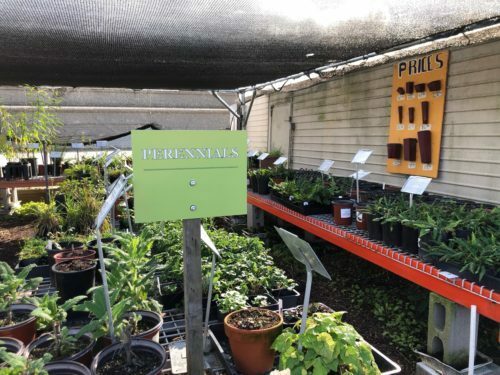 The nursery began as a group of native plant enthusiasts seeking to propagate local natives out of fondness for the plants and curiosity about what they bring to ecological restoration, re-vegetation and habitat gardening. Our first venue was a friend’s backyard in Oakland (hence the name) where we grew primarily for a local land management company. After the house sold we moved to Alameda Point for 4 years and transitioned from a hobby to a small business. In November 2010, the nursery grew into its latest space at the bottom of Channing Way in Berkeley. © Oaktown Native Plant Nursery, all rights reserved. Photo credits: Ashika Narayan, Creative Commons, Eric Wrubel, Jen Natali, Joel Peter, Kate Ferroggiaro, Kristen Hopper, Stew Winchester, Tamia Marg, Terrel Brand, Todd Gilens, Zoya Akulova.